The kids don’t actually like paksiw (except for Lechon Paksiw) so we have to cook a separate viand for them. Besides Ayungin, we also love to cook Paksiw na Bangus. For this one, I used Ayungin (freshwater fish called silver perch). I placed all the ingredients I mentioned above including the fish in one pot and cooked it for over 20 minutes. 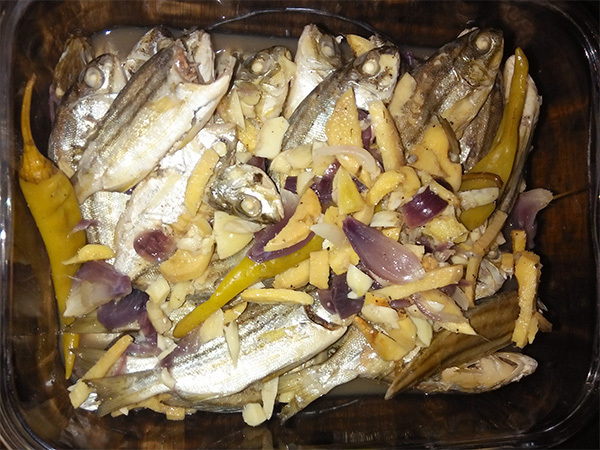 This entry was posted in Favorite Food, Sea Food and tagged Paksiw na Ayungin, Paksiw na ayungin recipe, Paksiw na isda on August 27, 2018 by Yami.